An additional 420 ballots found Wednesday morning didn't change the referendum results, which finally approved a $47.1 million school budget for 2017-18. SCARBOROUGH — Town officials asked the Secretary of State’s Office to review local election practices after 420 ballots were left out of Tuesday’s initial vote count in the town’s third and final referendum on the 2017-18 school budget. Discovered Wednesday morning, it was the third similar discrepancy to be found following recent elections, including in November, when about 2,700 absentee ballots were initially left out of local and statewide tallies. The mounting errors prompted school budget opponents to question whether the Town Council should accept updated referendum results issued late Wednesday morning. The council approved the results Wednesday night and established a local committee to review the town’s election procedures. Councilors said they didn’t doubt the integrity of Town Clerk Tody Justice and her staff. The found ballots didn’t change the outcome of the latest referendum. The final tally was 2,402 to 2,226 – a 176-vote margin – with 52 percent of voters approving a 2.8 percent increase in the school budget, from $45.8 million to $47.1 million, according to Justice. 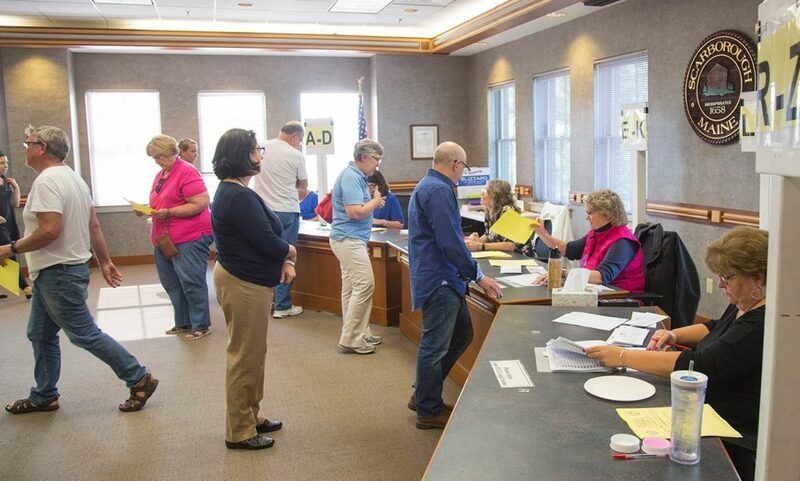 Just over 27 percent of the town’s 16,816 registered voters cast ballots in the election held in the council chamber at the Municipal Building. Justice drew cheers from budget supporters Tuesday night when she announced that the spending plan had finally passed by a vote of 2,223 to 1,985 – a 238-vote margin that ended a protracted and especially divisive budget season. But when Justice and her staff reviewed the results Wednesday morning, they noticed that 420 absentee ballots were missing from the tallies of ballots that were issued, returned and counted. A box of ballots was found in the clerk’s vault. Justice called in a team of election workers to open and count the found ballots, starting at 10 a.m. Regarding previous errors, Justice said the discrepancy last November occurred when the election night count missed about 2,700 absentee ballots contained on two thumb drives. The ballots had been processed on voting machines the day before the election. The next day, election officials noticed the ballot count was off, found the thumb drives in the vault and added them to the count, Justice said. Also, following the second school budget referendum on July 25, a review of ballot results in early August found 200 ballots hadn’t been counted. Justice outlined the error in an Aug. 21 memo to Hall that the council discussed for the first time Wednesday night. The found ballots were evenly divided – 100 “yes” votes and 100 “no” votes – so the second referendum still failed, 2,030 to 1,947, according to the memo. Secretary of State Matthew Dunlap said his staff would assist town officials in their effort to review and improve local election practices. The results of Tuesday’s referendum were expected to be validated by the Town Council at its regular meeting Wednesday evening, but some citizens questioned whether that was a good idea. “We are naturally concerned with the accuracy of the vote,” according to a prepared statement from Steve Hanly, a leader of the “no” campaign and spokesman for SMARTaxes (Scarborough Maine Advocates for Reasonable Taxes).